This producer is dope and is about to unleash a serious of E.P?s both on Cyberjamz and Toupee Recs before the year is out. This 12 track monstrous package is simply off the freekin hook ! Each track holds it?s own and it?s difficult to choose just one favorite. I added a * to a few of my favorites but all the tracks are sick in their own right. 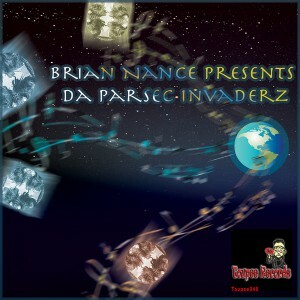 If deep and soulful with a touch of afro and tech combined is what ya need.. then look no further than Da Parsec Invaders E.P is gonna be right for you and your dancers ! all tracks produced by Brian Nance. copyright: NANCE BRIAN ELLIOTT (BMI) 2016.